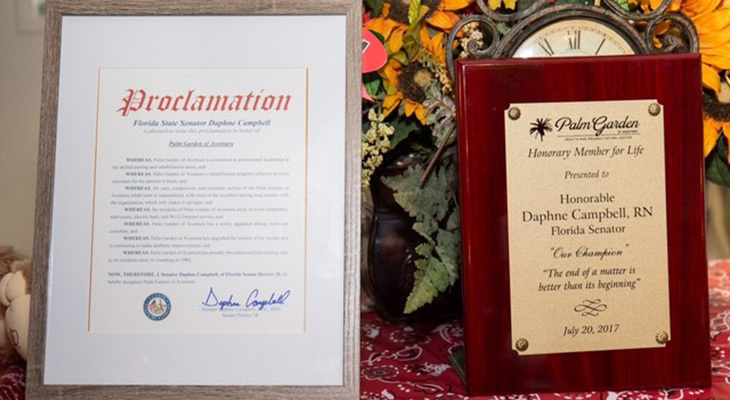 Palm Garden of Aventura was privileged to present The Honorable Florida Senator Daphne Campbell of the 38th District with a citation of ‘Honorary Member for Life’ status. Senator Campbell was recognized as a ‘Champion’ of those elderly voices lost in their fight for comprehensive healthcare. 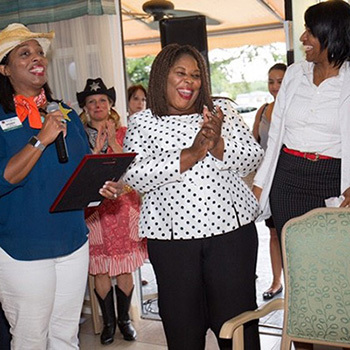 Being a practicing RN herself for 38 years, Mrs. Campbell spoke deep conviction regarding her commitment in the fight and support of all Palm Garden’s mission and conviction. 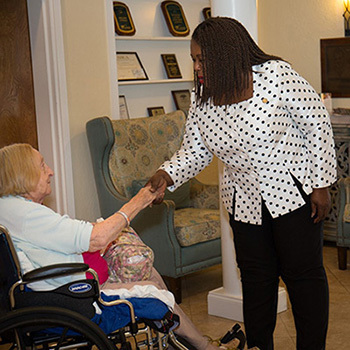 Impressed with Palm Garden and its’ influence of good, the Senator made a Proclamation from the state capitol – ‘Palm Garden is a native post-acute care company serving Floridian citizens with clinical excellence and extraordinary service.